Today Croatia has acceeded into the European Union as its 28th state. EU has loads of diverse and different larp scenes and cultures in them. Some of them are local, some are national, some encompass all speakers of a certain language, some are regional, and some are world-famous. Here’s a short window into a couple of EU larps and larp scenes, carefully selected and profiled by the criteria of “those I actually visited myself” and “those who bothered to answer my survey on facebook on a short notice”, with a dash of “this is like elementary culture you should know”. So this is not a full list – not even close – and not even the fully representative one, despite it being the largest post on this blog ever. Even keeping track of the Croatian scene is quite a job and there are still many language barriers around. But hopefully you’ll find plenty of new and interesting material here. If you want your larp represented – whether it’s battle, art, or anything in-between – feel free to comment below, this is the post for it! Guest-written text in the article has been put in italics. Anyway, here we go with the countries sorted alphabetically! Err, OK. I haven’t really visited any of the nordic countries. Nor did anyone from the scene answer this survey about his or her group. Nor is Nordic a country, nor it is alphabetical. But it’s been hugely influential. Nordic larp is a term used to describe a tradition of larp game design that emerged in the Nordic countries. Some aims and ideals typical for this unique gaming scene include immersion, collaboration and artistic vision. They document loads of stuff – there’s an awesome reading list of Knutepunkt-books about larp theory which you should probably read or at least skim if you’re interested into subject (and you should probably read them if you’re not.. just for good measure). Sometimes they do larps that explore difficult and uncomfortable subjects. Also, the regular combat fantasy scene is alive, well and awesome in Nordic countries (though it’s not counted as part of the Nordic larp tradition, it actually outnumbers Nordic larp events by far). If you’re interested in fantasy larp, you shouldn’t be skipping Belgium. Smaller than Croatia but much more densely populated, Belgium has a vivid larp scene – and the majority of them have been organized into a Belgian Larp Federation which also does a national Belgian larp, AVATAR. 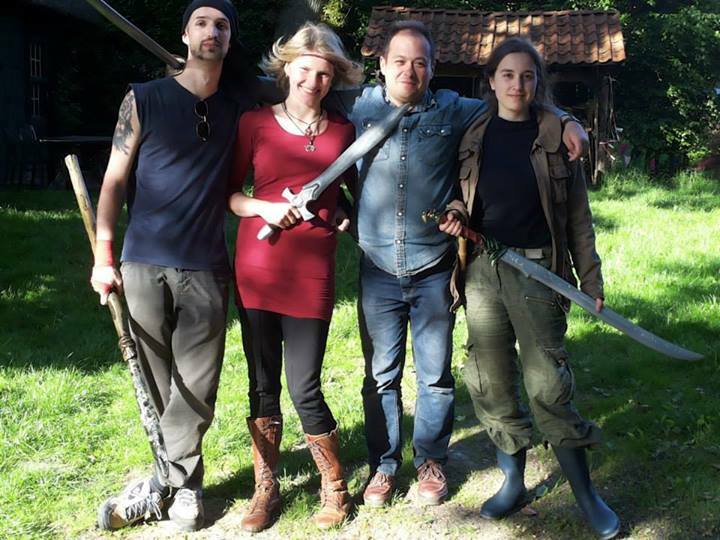 It’s one of the similarities between Belgium and Croatia (and the rest of the Southeast European slavic countries who larp, such as Serbia and Bulgaria), the effort to make a national larp – however, the way AVATAR does it is somewhat unique: it’s played in a “dream world”, where your character is an avatar (or embodiment) of the dreamer, who originates from another larp world (where you regularly play). An elegant solution, and it works – after German and UK larps, AVATAR is the biggest one around, and possibly one of the most well-known. The style of play has been compared to Drachenfest. If you open the video on youtube and click CC below, you’ll find captions in English, Italian and Polish. 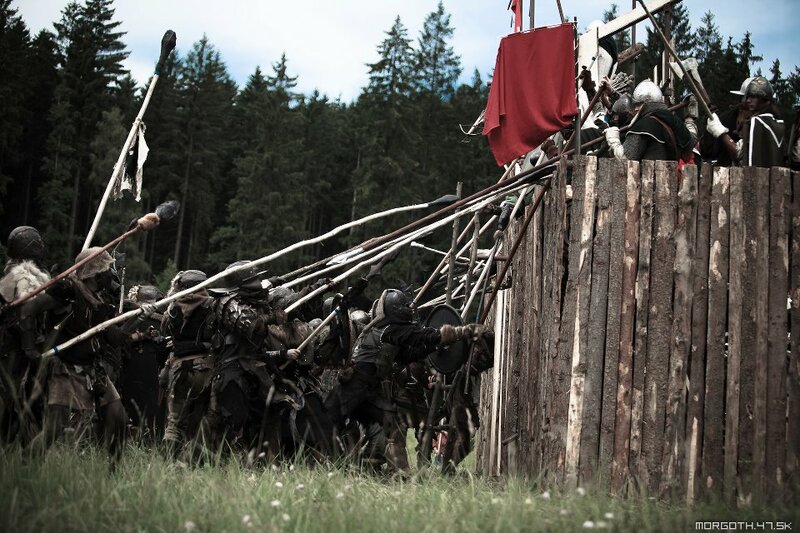 Another organization nearby, Moravian LARP, does lots of different larp events but they’re most famous for the huge battle larp Pán Prstenů – Bitva o Středozem (Lord of the Rings – The Battle for Middle-earth). We are group of organizers from Prague who aim at bringing chamber larps to Prague audience weekly. So every week there is possibility to play one different chamber larp in Prague. Topics of the larps differs from medieval fantasy settings to futuristic settings. Most of them concentrates on present time and age and focuses on interesting situations that might even happen in your life or at leaste the decisions you make in them can change your life for a bit. If you want to know more about the larps to be played you can look them up on http://larpovadatabaze.cz/ Larp database containing info about the game, ratings of the game and comments on games played at the moment mainly in Czech Republic. – Jakub Balhar, HrajLarp, Pilirion o.s. We’re a group of larp creators founded on partnership between civic organisation Rosenthal, D. F. Wagner and A. Pesta focusing mainly on larger dramatic larps based on strong interpersonal relationships between characters and an intense background story such as war, religion, mystic and of course love and hate. We usually reassemble our creative team after each larp to keep new ideas flowing whereas Rosenthal team is stable and manages production of games (costumes, weapons, special effects, etc.). Our latest larp is a 90 player, large scale dramatic larp inspired by the events in Gevaudan, France late 18th century and the legend about the Beast of Gevaudan. The players will be provided everything – food, clothing and a pack of emotions. Larp is held in the baroque chateau Valec in Western Bohemia near famous hot springs city of Carlsbad. Exteriors and chateau gardens will also be used for the game to recreate the atmosphere of 18th century rural France. The entry fee is approx. EUR 100. In our previous larps we covered topics of World war 2 in Balkans, plague in renaissance Genoa and also the Turkish invasion into Europe in 15th century. Entry fee for all of these varied between EUR 40 to EUR 60. We are currently thinking about translating our production for foreign audiences, more information about this will be available in autumn. 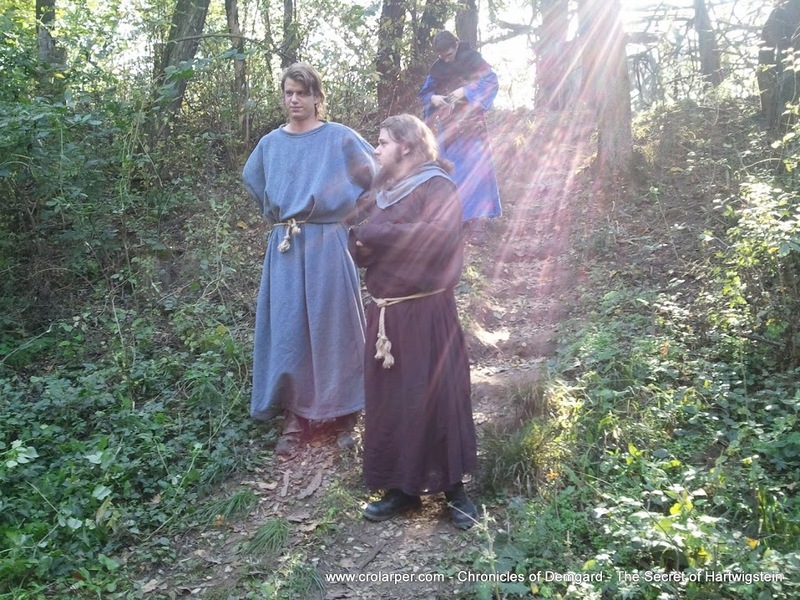 France has a very interesting larp scene, however due to language barriers French larps are somewhat difficult to find by those who do not speak French. If you’re gonna try and discover some stuff yourself, here’s a hint: French use the acronym GN to refer to a larp. Most French groups and associations are members of the French national larp federation, FédéGN (Fédération française des jeux de rôles Grandeur Nature) – which also runs the French larp convention GNiales in Paris (and supports some regional conventions too). French also do big larps. 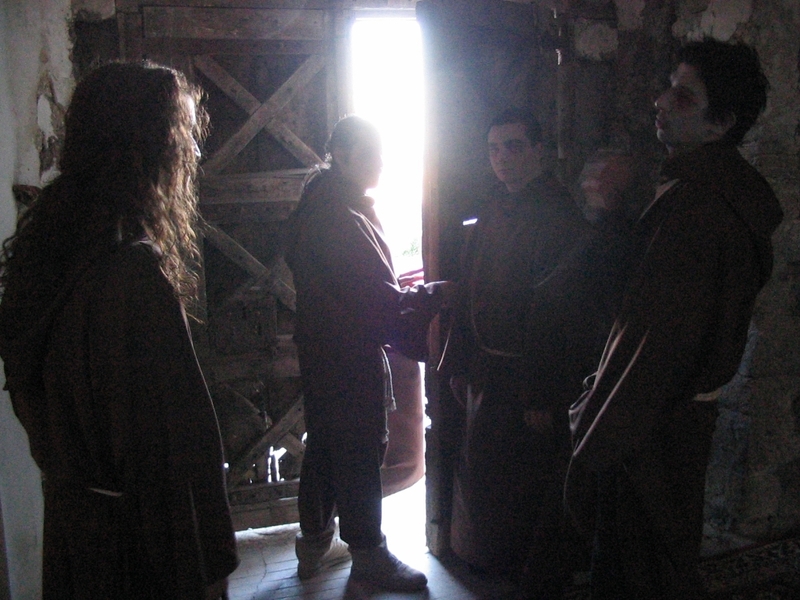 Above is the photo from Chroniques de Kandorya, by GN-AVENTURES, to my info the biggest larp in France. The one in 10 days in Saint-Georges-sur-Loire is expected to gather between 800 and 1500 players. Don Quichotte is a larp club created in 1993. We are organizing all sorts of larp, and very often exploring news ideas / eras. Every 2 years we are organizing a western larp in the film venue in Almeria, Spain (Fort Bravo). Here is a short video of the 2012 edition. In the past we went to Tunisia, and made a LARP in Tatooine (film set of George Lucas SW). We also made a Pirate Larp on the sea, with old ships. We love to laugh and have fun. ConQuest of Mythodea is the biggest european LARP event, taking place in mid summer in the small town of Brokeloh near Hannover, Germany. Starting in 2004, the players are discovering and claiming the continent of Mythodea, learning about its past and meeting the challenges arising from it. The land isn’t ruled by gods but by the five elements, who guide the players in retaking a continent that was long ago destroyed by bitter war. Alas, the enemies of old have not vanished, and challenge the players on every step of the way. To that end ConQuest uses about 1500 NPC as well as to assist, to push the story along or to offer plots In 2013, after ten years, the first chapter of ConQuest ends with the settlers finally in control of the whole of Mythodea. But the evil is not yet beaten, and to root it out players have to start on a whole new adventure in the 2nd chapter starting 2014. Drachenfest (by Wyvern e.K.) is the second largest larp not only in Germany, but Europe as well. Based on a battle to determine the dominance over the world, Drachenfest is one of the most famous larps around. Check out my experiences from last year! And in three weeks you’ll be able to find me once again in the Copper camp. If you followed this blog, you’ve already heard plenty of stuff about Chronicles of Demgard. The folks from that larp have been on three Terra Nova events so far, and they visited the PoRtaL convention too. We were also on one of their larps last year, and I wrote a detailed report. DK is running two events a year, a summer and an autumn event with the second one being in English since last year. It has a very interesting style in which it is run – it’s neither a standard campaign larp nor a one-shot. It’s basically a series of events in the same world which are loosely connected by some fragments of the story, but most of the characters are different every time, as well as the faction set-up. If you’re going to the autumn event this year, I’ll see you there. They also compiled an “evolutionary tree” of other Hungarian larps. You can check out that comprehensive graph over here. Italy has a fabulous scene. Old, diverse and experienced. You’ll find larps of all genres and styles there, as noted below – I’d like to mention one extra here, I haven’t been to it but I’ve heard it mentioned several times so far – the Battle for Vilegis. It’s Italy’s biggest fantasy larp, and it’s been called “the Italian Drachenfest” by some to describe its style of play. Organized close to Rome, it certainly looks interesting! And now onto groups. We are people with different specializations: actors, musicians, directors, pedagogues, scriptwriters. We started to organise LARP events in 1992. 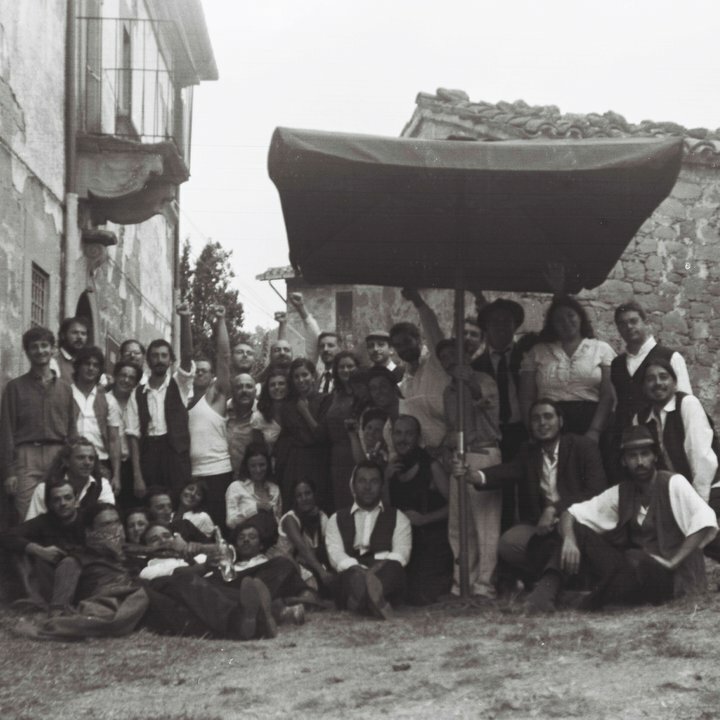 We experienced different formulas with hundreds of people all around Italy, we always put ourselves to the test and we always tried to be original, trying to stick to our poetics and our personal point of view about role playing: something deep, visionary and something to share, especially in the darkest moments. We do not do it for money, all inscription fees just cover our outlays. In our LARPs, we have been knights fighting for their land, people of faith threaten by the inquisition, patriots voted to the extreme sacrifice, we have been the survivors after the end of human race, people looking for freedom, parts of a divine plan to change the world fate. We laughed, cried, screamed, struggled together, and at the end of the game we were always a little bit changed. We believe that playing is a path towards the growth and the confrontation. A society that disown the depth of playing is intended to be a gloomy place. We believe in the need of creating shared stories, improvisation places, other existences. We are role players and we always have a story to tell. We organize one big event per year in early September period; it is about a long term (from 3 to 6 days) immersive LARP event. We use to stay always in role, no stops in the action, not even in the night, no audience at all. We organized the last two LARPs in international locations: Great Britain and Sweden. Average cost: it goes from 80 euros to 250 euros, it depends. Cronosfera is no longer a group, but a professional agency since january 2013. Lorenzo Giannotti and Vittorio Colarossi decided to make a job from their 20-years loved hobby, and started a business project that aims at expanding the public of Larp by gradually introducing them to the strong points of the immersive first-person experience. Staging interactive dinners (upgrading the standard murder-party formula), entry-level short events, atmospheric weekends in hotels that are also holidays, people will know what this is all about and understand the power of true first-person live role-playing. Then, they will be presented our main events, full-immersion larps like the “Soul Meeting 1972” (an exploration of subconscious via hippies’ experimentations on the mind) or “…E se i conti non tornano?” (a shakespearian comedy of misunderstandings and mistaken identities), or “Il cuore nero di Montazzoli” (a true horror story of friars and vampires). The “Time Travel Agency” sci-fi facade covers all past, present and future events, which can be set “anywhen”! 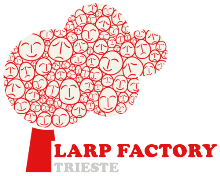 Larp Factory Trieste is a new group, founded a couple of months ago, but founded by experienced larpers who were also the people behind Larp Symposium. I was on their first larp run when they ran Il Negoziatore. They did several more chamber larps (including many of them played on Trieste Larp Festival they ran two weeks ago in the Miramare park near Trieste). 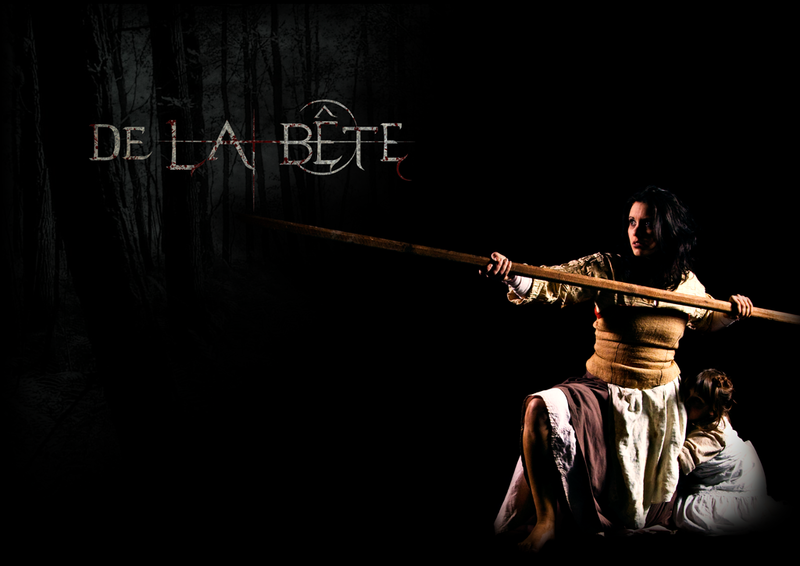 Upcoming projects also include several non-chamber larps, such as the Italian-Croatian larp Sine Requie. The concept of the larp factories is to make sure there is at least one high quality, low treshold larp each month. There are other Larp Factories in EU and the world. Norway has one in Oslo (which was the first one) and Trondheim, Sweden has them in Göteborg, Stockholm and Umeå, Finland has them in Helsinki and Turku, Belarus has one in Minsk, and Canada has one in Edmonton. We are a LARP group active since 2006 in Northwest Italy (Turin and Milan). In the last 7 years we’ve been running an ongoing fantasy campaign set in a medieval-inspired world called “Terre Spezzate” (“broken lands” or “fragmented lands” in Italian), organizing more than 80 LARPs. We play almost once a month; three times per year we organize three-day non-stop events from Friday till Sunday. The average cost is 15 € per each day of play (including food & beverages, which are served In Character and in a medieval style). Our group comprises about 150 regular players, of which 80-120 attend any given event. Our gaming style has been centered on player-vs-player interactions (or realm-vs-realm, to be exact) in a medieval kingdom torn asunder by the ambition and greed of seven noble Houses. Compared to the typical LARP fantasy campaign, we tried to move away from the overused good-vs-evil clichés and focus more on “human” storylines and morally ambiguous themes, set in a detailed and relatively realistic game world. We use latex weapons and a hit-points system very loosely based on the Lorien Trust rule system. 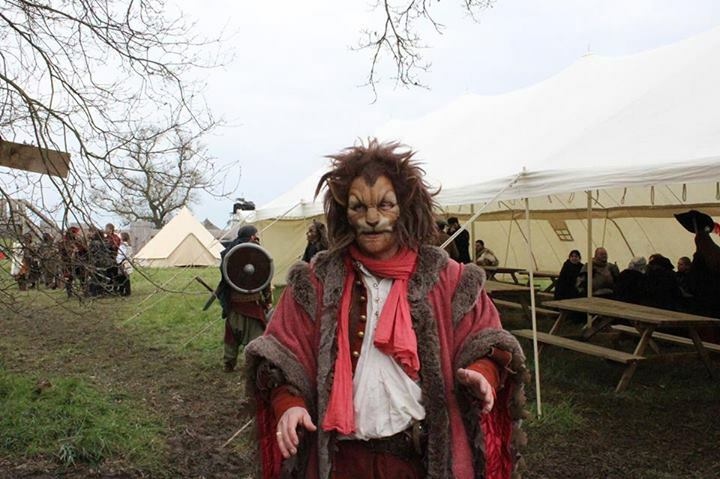 We are quite proud of the care both organizers and players put into costumes, scenery, equipment and medieval tents, reaching ‘production levels’ which can easily compete with many reenactment groups. Starting in 2013, inspired by the wonderful experience of the Monitor Celestra (a Battlestar Galactica LARP held in Goteborg, Sweden) we’ve been exploring a more “Nordic” style of play, less based on “team competition” and with a greater focus on immersion, the illusion of total realism and character-centered storylines and conflicts. Next October we’ll organize our first one-shot event, using much simpler rules and a “pay & play” approach, aimed at reaching a greater audience and involving new players outside of our usual circle. Games -N- Stuff organizes Larp events in Holland, to be more specific in a small place called Ommen. We have five different events running; Quon a high fantasy larp that takes places twice a year. Dwaler a low fantasy larp based in mythic Europe this also takes place twice a year. Both events are for players that are older than twelve. For the young we organize five times a year on the Sunday an event specially designed for kids age ten to fifteen. We are in the stage of developing an event during wintertime which has a focus on Role-play, we hope to start our first event early 2014. Then last but not least: Terra X. A yearly event that had its first live past May, four days larp evolving around Boi’s mine with numerous dangers in the area and strange things happening after the call of Greher the Arch druid. Need more information? Specific for Terra X we have translated parts of the site in English to attract foreign Larp players. Prices of Quon and Dwaler range from 52,50 to 72,50 euros for players and 26 to 36 euros for NPC. The prices normally goes up 10 euros a month prior to the event. Prices of Terra X are not yet published. Games-N-Stuff is a great organisation. 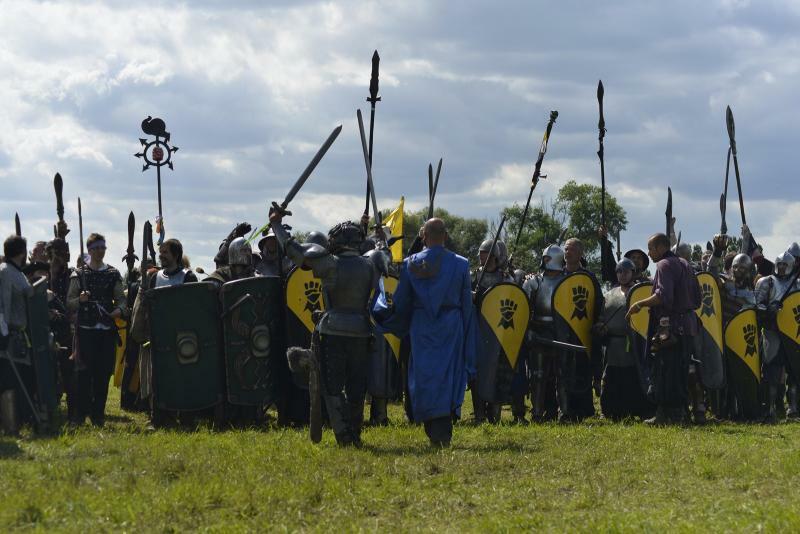 They offer excellent LARP events for both newcomers and veterans. A lot of effort is put into making everything look very realistic and the story lines are just amazing. So with nice plots, very nice people that will quickly become your friends and the great effort that everyone puts into his character, this organisation creates the perfect LARPing experience. We are relatively new as a group in this country, although we’ve been organizing the Larp Fights at the Elf Fantasy Fair for 3 years now. Our game is mostly about swordfighting. Roleplay or a nice outfit adds to it. It doesn’t necessarily mean that you have to be an excellent fighter, as a normal person you can also help others to excel. We have a lot of training days during the summer where we actively have a lot of fights. Our rules tend to a bit on the rough side (1-hitpoint system, head or crotch is not a target), but we see it adds to the game and thrill. The game of ours is about mastering your weapon and enjoy the fight with the other player, even if you lose, you’ve won friendship. Our motto is brotherhood through battle. Larpish activities in Poland are widely popularized yet still perceived as a „strange” or „niche” hobby. Organised groups of players can be easily found in every bigger city (Liveform, Argos, Grimuar, Funreal, Wielosfer, … – just google it!). Each of them is doing its own part in making Polish larp scene rich and ubiquitous. Seriously, you can play in nearly every form or style of role-playing. Chamber larps, freeforms and dramas are being played mostly during academic year on fantasy conventions taking part in rent schools, sometimes as often as every week. Large games of 300-500 participants (wargames, collectives, child games and such) have their own dedicated gatherings, lasting about a week in the summertime. The major ones are Hardkon, New Age, Orkon and Flamberg. Inspired by Knudepunkt, we are hosting our own semi-scientific conference, KoLa. We are likely to share our ideas and knowledge during random meeting fantasy conventions meetings, or by publishing free licensed scenarios on Larpbase.pl. Personally I represent a group called Liveform. We are based in Silesia region and consist of around 15 people actively producing movie-like games with very detailed scenarios, scenography, special effects and so on. Our main achievement is yearly New Age, being dieselpunk satire of modern world, but in our portfolio you can find also freeforms about polyamory, promotion of ‘The Witcher’ video game or cooperative games for scouts. We are also striving to popularize larp as a commercial product, connecting it with performance art, workshops or business trainership. But what is the most important for us is action – we are likely to engage in different projects, to invite others to work with us and be responsive, when somebody needs help in our domain. Last but not the least: UK. Its long larp history started with Treasure Trap, which was one of the earliest recorded larps anywhere. Nowadays, the UK larp scene is really diverse – high equipment standards, loads of small larps everywhere and a couple of really big ones – after German ones, you’ll find the biggest EU larps being in UK. Lorien Trust is one of the oldest larp companies there, and their summer event – The Gathering – is the largest one in UK. In ’90s, a splinter group called Curious Pastimes broke off LT, and created their own campaign, and their event Renewal which directly competes with the Gathering as they’re on the same date. Renewal is the third largest larp in UK. Profound Decisions is another big larp company, and they did the Maelstrom, which was the second biggest larp in the UK. They ended the campaign, and instead started a new series this spring: Empire. They also run a mythical / ancient world larp campaign Odyssey. I’d also like to mention one other larp in particular – Dumnonni Chronicles. A low-fantasy, celtic / dark ages mythology larp series with a high focus on immersion and historical accuracy. It’s where larp meets re-enactment, and it’s hugely realistic. This is the end of this article, but this is just a beginning. This is not a complete list – I merely scratched the surface. There are many other groups in UK and Europe which I missed. Leave comments below with descriptions and links to yours!